In some idiopathic and scar-related tachycardias the ablation target is not located on the endocardium, but is intramural or epicardial in location. In these cases, epicardial mapping can be attempted in one of two ways. Electrode catheters can be introduced into the cardiac venous system via the coronary sinus (CS). Small, 2 French multielectrode catheters are available that allow extensive epicardial mapping over regions of the left ventricle by canulating the branches of the CS and great cardiac vein (77). The utility of this method is being evaluated. A second approach developed by Sosa and colleagues involves percutaneous entry into the pericardial space in the manner used for pericardiocentesis, followed by insertion of an introducer and mapping catheter (73,78,79). Epicardial foci have been identified and ablated. The risk of damage to adjacent lung and epicardial coronary vessels requires further evaluation. This method cannot be employed in patients who have had prior cardiac surgery with resulting scarring of the pericardial space. Initially primarily applied to patients with VT caused by Chagasic cardiomyopathy (73,78,79), Sosa and colleagues have recently published their experience with epicardial mapping and ablation in 14 patients with VT related to remote inferior MI (79a). However, the applicability and utility of this technique remain unclear (79b). When critical portions of scar-related reentry circuits are intramural or epicardial, the ablation lesion that can be created with a standard radiofrequency catheter may not penetrate sufficiently deep to interrupt reentry. As current is increased, the temperature at the tissue interface and the electrode touching the surface reaches 100°C (80). Denatured protein adheres to the electrode and forms a high impedance barrier, reducing current delivery and lesion expansion. The catheter must be withdrawn and cleaned. To prevent coagulum formation, the electrode can be cooled by irrigating the catheter tip with room-temperature saline (81). The first saline-irrigated catheter system approved for ablation circulates saline through the electrode and returns it through the catheter to be discarded, rather than infusing it into the circulation (5,64). This system was evaluated in a multicenter trial that enrolled 146 patients who had an average 25 ± 31 episodes of VT in the 2 mo prior to ablation, and who had failed an average of 2.5 antiarrhythmic drugs, including amiodarone therapy in 40% of patients. VT was caused by MI in 82% of patients, and the average LVEF was 31 ± 13%. Ablation eliminated all "mappable ventricular tachycardias" at EPS in 75% of patients (64). During the initial 2 mo after ablation, 81% of patients experienced a reduction in number of VT episodes of more than 75% compared to that which had occurred in the preceding 2 mo. During follow-up of 243 ± 153 d (mean ± standard deviation), 54% of patients remained free of any spontaneous VT. Total mortality during follow-up was 17%, and 60% of deaths were caused by heart failure, consistent with prior reports in this patient population. Major procedural complications occurred in 8% of patients including stroke or transient ischemic event in 2.7%, tamponade in 2.7%, MI in 0.7% and unintentional AV block in 1% of patients. Procedural mortality was 2.7%. Direct comparison with standard radiofrequency catheters has not been performed. Saline-irrigated catheters in which the saline flows out of small holes at the tip of the catheter are also being tested. An alternative means of cooling the electrode tip is to use a larger electrode, which therefore has a greater surface area exposed to the circulating blood pool (82). With these methods that increase lesion size comes the risk of myocardial damage that could further depress ventricular function. Cooling the catheter displaces the maximal tissue temperature below the tissue surface. If temperature reaches 100°C, a steam pocket can form and explode either through the endocardium or epicardium. Thus, the risk of perforation may also be increased. 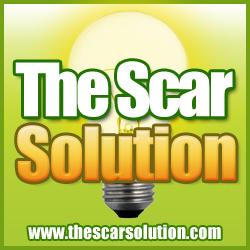 It is important that lesion be confined to regions of scar. Risks will require careful assessment with each new advance. For many patients, mapping during VT is not possible because of hemodynamic intolerance (83,84). Several approaches to the problem are being evaluated. One approach is to define the scar and the likely quadrant containing the exit based on sinus-rhythm electrograms and pace-mapping, then to place radiofrequency lesions across that region of the scar. In an initial series, this approach was successful in abolishing recurrent episodes of VT in 3 of 5 patients (84). Another approach is to attempt to record electrical activity from multiple regions simultaneously with the use of a basket catheter (85,86). These catheters can be deployed through a long sheath into the ventricle, where the splines of the basket catheter spread out against the endocardium. There are some regions of the ventricle that are not sampled. The risks and benefits of these catheters are under investigation. A third approach involves the use of a system that mathematically calculates the electrical potentials at the endocardial surface based on the potentials recorded some distance away by a balloon electrode array inserted into the ventricle (87-89). An isopotential map calculated from this "inverse solution" is displayed on the ventricular geometry constructed by sweeping a roving catheter around the ventricle. This system offers the potential for assessing the sequence of ventricular activation over the entire endocardial surface from a single tachycardia beat. Detailed mapping of unstable arrhythmias may be possible. Promising initial results have been reported; further evaluation and technical improvements are likely to be forthcoming.